Although wrinkles and fine lines are some of the most visible signs of aging on the face, there can also be a loss of volume in the midface, resulting in a sunken or hollow look in the cheeks. At About Face Anti-Aging Institute, we offer multiple dermal fillers to help you look as young as you feel, including Juvederm Voluma® to correct volume loss in the cheeks. 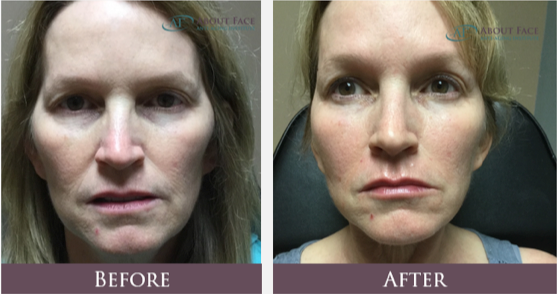 Located in Harker Heights and serving Waco, Killeen, Temple, Belton, and the Central Texas Region, About Face Anti-Aging Institute is led by Mr. Jeff Garberich, PA-C. Contact us today to schedule a consultation and find out if you are a candidate for Voluma® to restore the apples of your cheeks. Part of the Juvederm® family of fillers, a trusted name in non-surgical skin rejuvenation, Voluma® is one of the most popular solutions to volume loss in the cheeks due to the natural aging process. As the skin ages, it is natural for collagen and elastin to decrease production, leading to laxity and inelasticity throughout the face. This loss of natural shape and structure can also affect the cheeks, leading to a sunken or hollow appearance. Voluma® is an injectable treatment that can provide an immediate lift to the midface, restoring the natural shape of your cheeks for a younger-looking appearance overall. We offer this safe and effective dermal filler at About Face Anti-Aging Institute, which has been proven to last for up to two years with optimal treatment. This popular dermal filler is injected directly into the tissues of the cheeks and is typically a well-tolerated treatment for most patients. Voluma® is comprised of hyaluronic acid, a naturally-occurring sugar in the body that provides hydration and volume to the skin. Once injected into the skin, the hyaluronic acid begins providing immediate lift and elevation to the skin. In some cases it may be combined with lip injection treatments. What are the Benefits of Voluma®? Aside from slight bruising, swelling, redness, or itching at injection sites, Voluma® typically does not cause any complications or side effects in patients who qualify. 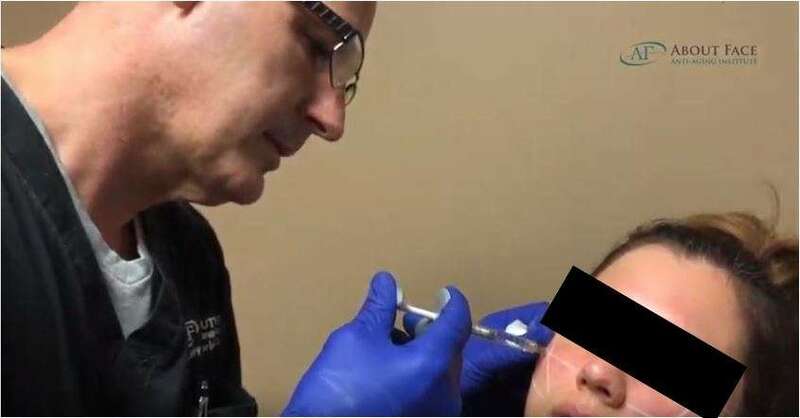 This dermal filler has been extensively tested for safety and efficacy, and any other additional safety information will be discussed with you during your consultation with Mr. Jeff Garberich and our medical team. 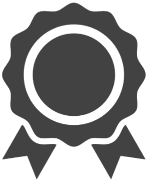 We will evaluate several factors such as your health, medical history, individual condition, and aesthetic goals to determine if Voluma® is right for you. The cost is $899 per syringe. It is very important to understand who will be administering your procedure. Mr. Jeff Garberich, PA-C is trained and certified by Allergan, the maker of Voluma, and received advanced training for Juvederm Voluma at the largest medical aesthetic training institute in the world. He is also a certified Master Injector by Allergan, and is an instructor at the Injectable Academy at The Texas Laser Institute. Contact About Face Anti-Aging Institute today to schedule a consultation to find out how Voluma® can restore natural volume to the apples of your cheeks.